Pasta is the ultimate comfort food, and making it by hand is a favorite project for weekend cooks. From rising culinary star and 2012 Food & Wine Best New Chef Jenn Louis, Pasta by Hand includes more than 65 recipes for hand-shaped traditional pastas and dumplings, along with deeply satisfying sauces to mix and match. Louis shares her recipes and expertise in hand-forming beloved shapes such as gnocchi, orecchiette, gnudi, and spatzli as well as dozens of other regional pasta specialties appearing for the first time in an English-language cookbook. With photos of finished dishes and step-by-step shaping sequences, this beautiful book is perfect for DIY cooks and lovers of Italian food. 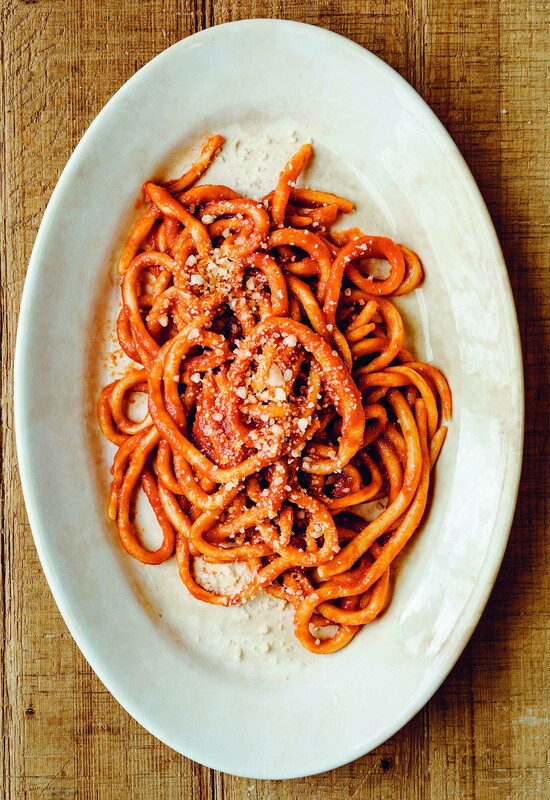 Jenn Louis appears with Pasta by Hand at Omnivore Books on Food in San Francisco on Tuesday, August 11 from 6:30 to 7:30 p.m.
Excerpted from Pasta by Hand by Jenn Louis, photographs by Ed Anderson (Chronicle Books, copyright © 2015). You can purchase Pasta by Hand at your local bookshop or through our affiliate links with IndieBound or Amazon. These beautiful gnocchi show off a rich red color. The flavor of the gnocchi is earthy but not intensely beet-y, and the texture is soft and delicate. This recipe is different from Beet and Potato Gnocchi, since it is enriched by the addition of ricotta cheese. Preheat the oven to 350°F (180°C). Place the beets in a baking dish large enough to hold them in a single layer. Season lightly with salt and pepper, drizzle with the olive oil, and add the water. Cover the baking dish tightly with aluminum foil and roast until the beets can be easily pierced with a skewer, 40 to 60 minutes. Remove from the oven, uncover, and set aside to cool. When cool enough to handle, slip the skins off the beets with your fingers or a paring knife. Cut the beets into large chunks. In a blender or the bowl of a food processor, combine the beets and egg and process until very smooth. In a large bowl or the bowl of a stand mixer fitted with a paddle attachment, combine 340 g/1½ cups of the beet purée, the ricotta cheese, Parmigiano-Reggiano cheese, a few swipes of nutmeg, and 1 tbsp salt. Mix with your hands or on medium speed until fully combined. Scrape down the sides of the bowl. Add the all-purpose flour and knead with your hands or on low speed just until combined. Do not overmix, as this will make the gnocchi tough. The dough should be soft and slightly sticky. Dust 70 g/½ cup all-purpose flour on the work surface, then scrape the dough from the bowl directly on top of the flour. Lightly dust the top of the dough with more all-purpose flour. Cover the dough with plastic wrap and let rest at room temperature for 30 minutes. Line two baking sheets with parchment paper and dust with semolina flour. Cut off a chunk of dough about the width of two fingers and leave the rest covered with plastic wrap. On a work surface very lightly dusted with all-purpose flour, use your hands to roll the chunk into a log about ½ in (12 mm) in diameter. Cut the log into ¼-in (6-mm) pieces. Put the gnocchi on the prepared baking sheets and shape the remaining dough. Make sure that the gnocchi don’t touch or they will stick together. Bring a large pot filled with generously salted water to a simmer over medium-high heat. Add the gnocchi and simmer until they float to the surface, 1 to 3 minutes. Remove immediately with a slotted spoon and finish with your choice of sauce. Serve right away. Gnocchi with Beets: When properly stored, beets keep beautifully through the winter, making them a handy ingredient when fresh produce is limited. 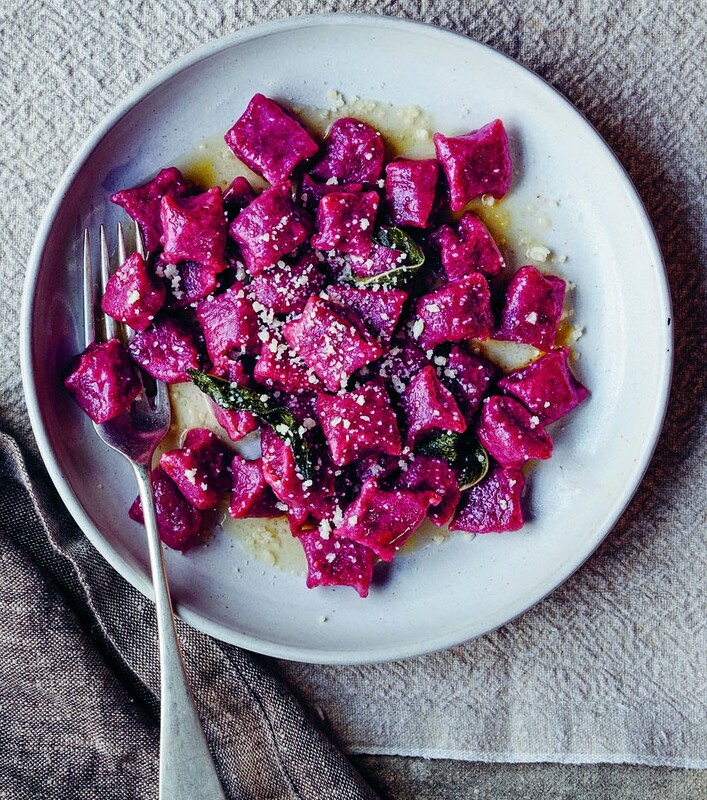 Beet gnocchi can be made with or without potato. In addition to eggs and flour, potato or ricotta give tenderness to these sweet and earthy dumplings. This rustic pasta is always handmade, and it is traditionally almost the thickness of a pencil. The density of the noodle and the bite in its texture qualify pinci for the dumpling category. The exact length and thickness of pinci will vary, depending on village traditions or a family’s preference. In some parts of Tuscany, the “n” is dropped and the pasta is called pici. In Umbria, a similar pasta is called stringozzi, and in Lazio, it is called umbricelli. What I really love about this dumpling is its weight and chew. Pinci have an old-world feel that is unmistakably Italian. In a large bowl or the bowl of a stand mixer fitted with a dough hook attachment, combine the semolina flour, all-purpose flour, and salt at medium speed. Add the water and stir with a wooden spoon or mix on medium speed until a cohesive but not sticky dough forms, 1 to 2 minutes. Add more water, 1 tbsp at a time, and knead with your hands or on medium speed until the dough is smooth and soft without being sticky or dry, about 8 minutes more. Cover the dough with plastic wrap and let rest at room temperature for 1 hour. Line two baking sheets with parchment paper and dust with semolina flour. With a rolling pin, roll the dough on an unfloured work surface into a flat sheet 1/8 in (4 mm) thick, and then cut into 1/8-in- (4-mm) wide strips. With your hands, roll one strip back and forth on the work surface into a fat spaghetti-like strand. Put the pinci on the prepared baking sheets and shape the remaining dough. Make sure that the pinci don’t touch or they will stick together. Bring a large pot filled with generously salted water to a simmer over medium-high heat. Add the pinci and simmer until they float to the surface, 1 to 3 minutes. Simmer until slightly al dente, 1 to 2 minutes more. Remove immediately with tongs and finish with your choice of sauce. Serve right away. Sauce pairings: Traditionally, pinci are paired with heartier sauces such as Tomato Sauce; Liver, Pancetta, and Porcini Ragù; Rabbit Ragù; Lamb Ragù; or Beef Ragù. This recipe, featuring semolina, makes a sturdy dumpling. The texture is firmer and more toothsome than ricotta cavatelli, similar to malloreddus, which are also made from semolina, though the cavatelli are a little denser and made without any saffron. Semolina cavatelli pair well with sauces rooted in southern Italian staples, such as tomato, lamb, beef, and seafood. Bring the water to a boil over high heat. In a large bowl or the bowl of a stand mixer fitted with a dough hook attachment, combine the semolina flour, boiling water, salt, and olive oil. Knead with your hands or on medium speed for 10 minutes, until fully combined and the dough is mostly smooth. Cover the dough with plastic wrap and let rest at room temperature for 30 minutes. Line two baking sheets with parchment paper and dust with semolina. Cut off a chunk of dough about the width of two fingers and leave the rest covered with plastic wrap. On a work surface very lightly dusted with semolina, use your hands to roll the chunk into a log about ½ in (12 mm) in diameter. Do not incorporate too much more semolina into the dough, adding just enough so the dough does not stick to the surface. Cut the log into ½- to 1-in (12-mm to 2.5-cm) pieces. With the side of your thumb, gently push each piece against a gnocchi board or the back of the tines of a fork, rolling and flicking the dough to make a curled shape with an indentation on one side and a ridged surface on the other. Put the cavatelli on the prepared baking sheets and shape the remaining dough. Make sure that the cavatelli don’t touch or they will stick together. Bring a large pot filled with generously salted water to a simmer over medium-high heat. Add the cavatelli and simmer until they float to the surface, 1 to 3 minutes. Simmer for 1 to 2 minutes more, until al dente. Remove immediately with a slotted spoon and finish with your choice of sauce. Serve right away. 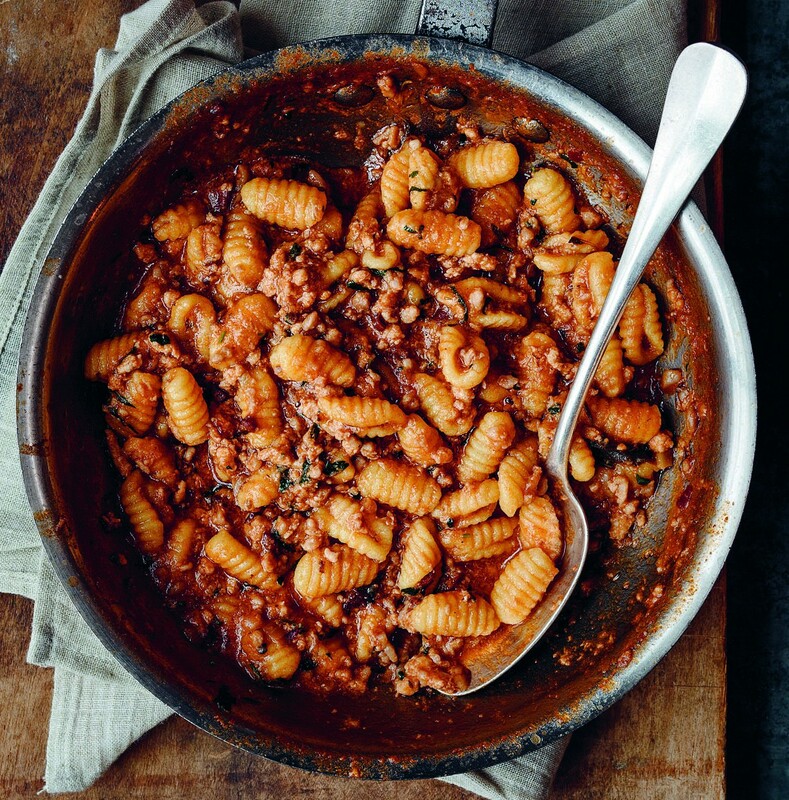 Sauce pairings: Traditionally, semolina cavatelli are paired with Tomato Sauce, Rabbit Ragù, Lamb Ragù, or Beef Ragù. 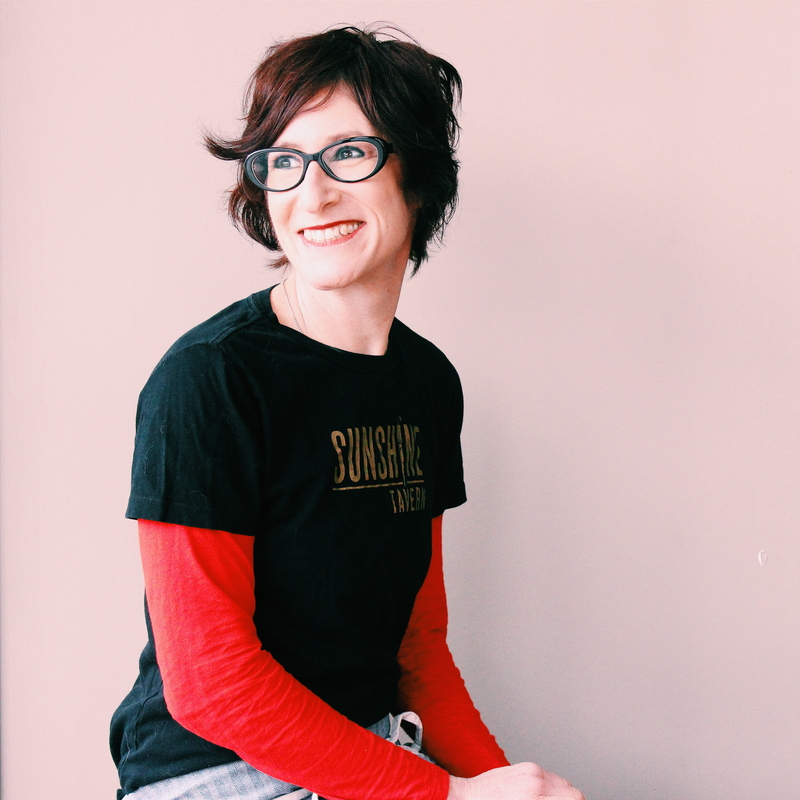 Jenn Louis is chef and co-owner of Lincoln and Sunshine Tavern in Portland, Oregon. She appeared on Top Chef Masters and was named one of 2012’s Best New Chefs by Food & Wine. This entry was posted in Uncategorized and tagged Eat, gnocchi, pasta, recipes. Bookmark the permalink.